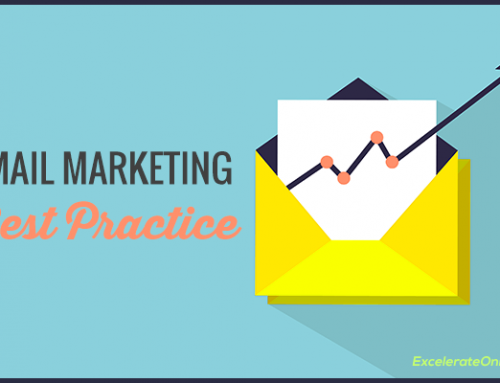 Part 4 – This is Part 4 of our free 30-day Email Marketing Training Series. You’ve set up your email marketing software, you’ve created your first email list, now let’s create your first welcome email! This is the first message users will get from you when they sign up on your email list. This is a pre-written, follow-up email message that gets sent to your subscribers immediately. It is the first communication from you that they are exposed to, so it’s very important to set this up and offer a friendly welcome message. *Side Note: depending on your email service provider, users may receive a confirmation email prior to receiving your welcome email. Some ESPs require using a confirmation opt-in email before they add anyone to your list. Upon successful confirmation, users will be added to your subscribers list and will then receive your welcome email. The term autoresponder is used to define an automated pre-written email, or series of emails, that automatically gets sent out to subscribers upon successfully being added to an email list. This can be an unlimited amount of additional follow-up messages—even after you send the welcome email—that are pre-written and set-up to send at any time intervals of your choice. For example, you can send out one email every 7 days or one email every single day, depending on how often you want to communicate with your list. It doesn’t matter when a subscriber signs up, they will be taken through the series of automated emails no matter what. Now that you’ve been introduced to the glorious world of automated emails, let’s get started in setting up your first welcome email. Log in to your email service provider. From the main navigation area, find a link called “Automation” or “Autoresponder”. Select “Add New Email” or “Create New Email” or “Get Started” or like the example below, “Create Your First Workflow”. Every provider will be different, but they will all have an option to start the workflow. Start by naming the email campaign (the name is usually something only you will see), adding a Subject line (which is what the subscribers will see), and selecting the email list this message is for. Again, all workflows will be different, but they all follow the same general flow. Design your email. You want this email to be simple, uncomplicated, deliver the value you promised and offer your contact information, links to your social media accounts and possibly offer another call-to-action for users to take. You can include both text and images, but use the K.I.S.S method (Keep It Simple Stupid) to not distract the subscriber. See below for tips on writing your welcome message. *Please note: make sure you edit your “plain text” version of your email message, so users who can’t receive HTML emails will be able to read your message. This easiest way to do this is to simply copy & paste your email message into the body of the plain text editing screen. Schedule when you want to send your email. For the welcome email, I suggest scheduling this to send immediately, which is usually set to Day 0, but for other emails in a series, you could schedule them days or weeks out. Activate your email. You’ll be able to activate it by selecting “start workflow” or “activate” or something similar to that. Once activated, your welcome message will be good to go! A formal welcome and thank you for signing up on your list. Links to the freebie giveaway you offered or if you offered a discount, then make sure you give them the discount code that you promised. What users can expect from you in terms of emails. For example, are you sending weekly updates or weekly tips? Or, daily tips? Or, will you only communicate with them for the occasional business update? Ask your users to “white list” or move your email from the “Promotions” tab to the “Primary” tab. Give them your contact information, or provide links to your social media accounts. For further info and best practices on sending a welcome email and engaging your email subscriber as soon as they sign up, I’ll let the following infographic take it from here, courtesy of Easy SMTP.